Scott Hovden on the definition of an annuity "An Annuity is a contract between an individual and an insurance company that's designed to create and accumulate wealth, protects that wealth and distributes that wealth in the most efficient way possible." Annuities can be very confusing and often times misunderstood. To simplify things, there are two basic reasons for purchasing an annuity: one is income the other is growth. Basically if you are well into retirement purchasing a fixed annuity in the form of a single deposit immediate annuity (SPIA) may make the most sense. It provides immediate income and in some cases can be passed on to future generations. If you’re in a pre-retirement phase of your life, a fixed indexed annuity (FIA) features both growth and wealth protection. What makes these annuities very popular is the method of investment. An FIA works in tandem with market indexes such as the S&P 500 and the Nasdaq 100, but does not invest directly in the market. Thus, one can never lose money when the market is down, but can enjoy some gains in uptick markets. Depending on the FIA product, several index crediting strategies are available including a fixed rate feature. For the more conservative investor, the traditional fixed annuity is a good choice. 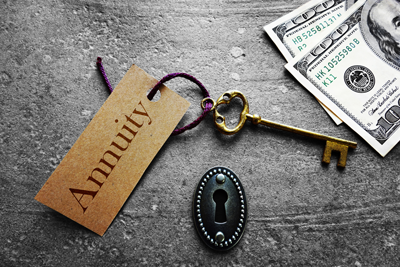 Fixed annuities typically have rate minimums established by state law and are ideal choices for replacing low interest-bearing instruments such as CD’s and money markets. For less risk averse individuals, variable annuities (VA’s) are an option. VA’s invest directly in the stock market hence one may enjoy market gains. That’s the good news. The bad news is VA’s can also lose money in down markets. Thus, they may not be a good option for persons in retirement or closely approaching retirement. This type of annuity saw a surge in sales in 2011 to early 2012 due primarily to the high rates of interest- in some cases 7 percent. However, these rates proved to unsustainable for insurance companies and they quickly fell. It is often said that annuities are not for everyone and this rings true with any investment. However, with the decline of the labor union in the United States pensions became a thing of the past: annuities represent a viable alternative. They have built in growth features and safely protect one’s retirement. Like any other type of investment, a person should do their diligence on the company they're purchasing from. Early withdrawal beyond what is allowed in the contract carries penalties and there are potential tax consequences. That’s why the financial strength of an insurance company should be considered when purchasing an annuity. Scott represents several A rated companies and can provide you with a well-thought-out retirement plan. Call him today at 715-204-8375 or email scotthovden@gmail.com.